After three decades poring over card backs and statistical records, it's exciting to discover novel wrinkles or nuances that, in turn, point to unusual players and achievements. While researching my recent Pinch-hitting's Sad Lexicon post, I discovered the defensive position other, a record-keeping designation for pinch-hitters (or pinch-runners) who come to the plate again in the same inning. They're not batting for anyone else that second time, so aren't pinch-hitters, but haven't taken an assigned defensive position. This scoring oddity crops up about ten times per year and three times so far in 2013. Today's post looks at five notable "others," either as career achievers, one-inning wonders, or both. Coors Field played to run-scoring stereotype as the Rockies hung 6 on Tim Lincecum in 2+ innings, then gave 7 back to the Giants in the 4th. Nursing a 9-7 lead, Eric Young pinch-hit for reliever Matt Reynolds to start the 5th and bunt singled past the pitcher. He stole second and scored easily on a Marco Scutaro double. 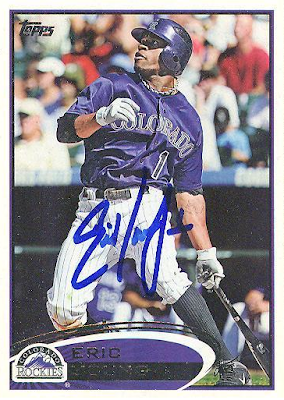 In most cases, "one AB, one hit, one run" marks a successful pinch-hitting day, but Colorado turned five more hits and a walk into Eric's second chance. By the time he pulled up at third with a triple, the Rockies led 16-7 and went on to thump San Francisco 18-7. His line: 1B, 3B, R, RBI, SB. Zarilla pinch-ran for cleanup hitter Eddie Robinson with the Chisox leading 6-0, but that was just the beginning. Two batters later, Hector Rodriguez's inside-the-park homer brought Al home, and they piled on run after run until he came around again. The A's started that 4th inning down just 3-0 and struck out pitcher Billy Pierce to lead off, leaving good odds of minimal damage. 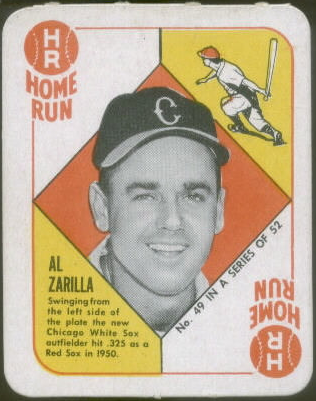 But by the time Zarilla capped its scoring with his own 2-run homer off Ed Wright (their third pitcher), Chicago led 15-0. Al went on to finish the game in right field, but is one of baseball's few to turn pinch-running into an "other" at-bat...and then homer doing it. His line: 2R, HR, 2RBI. McGee wasn't the burning speedster of old in 1996, but could still hit and play outfield, so platoon master Tony LaRussa found a way to get Willie into 123 games that year. He entered this game with St. Louis down 8-5 and two men on. Willie promptly singled in fellow LaRussa specialist John Mabry and came around on Luis Alicea's single two batters later, knotting the game at 8. 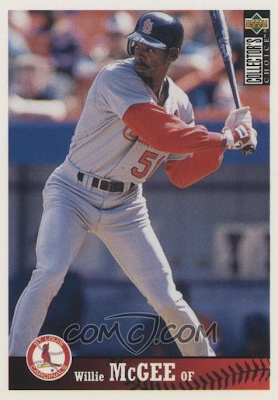 Willie watched as everyone following him reached base, save an Ozzie Smith bunt sacrifice, giving McGee a second shot, this time with the bases loaded. He went over left-center to unload them, becoming one of only 5 players to grand-slam in their "other" at-bat. His line: 2-for-2, 2R, HR, 5RBI. Robinson is one of only two "others" to drive in multiple runs twice and both stand out as highlights in otherwise lackluster years. 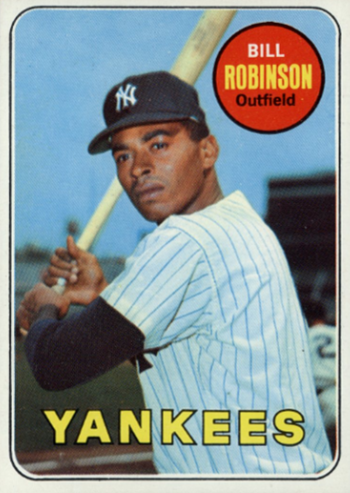 On August 12, 1969, the Yankees blew open a close game against the Twins with 8 runs in the 8th inning, including Robinson's two-run single that brought home Ron Woods and rookie Thurman Munson. Bill entered the game as a pitcher's pinch-hitter (since 1969 was before DHs), a frequent need during the Yankees' lean years in the late 60s. His line: H, R, 2RBI. 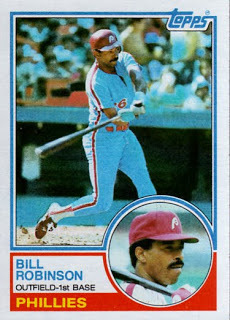 13 years later, Philadelphia acquired Robinson from Pittsburgh mid-season to bolster their outfield. Philly stood neck-and-neck with St. Louis by mid-August and Bill hit the biggest blast in their highest scoring game of the year, an 8th-inning comeback over Montreal on August 14. Down 8-4, Robinson entered the 8th inning as pinch-hitter for George Vukovich, singled to center, and scored on Bob Dernier's sac fly. Expos pitchers failed to record an out for eight straight batters, bringing Robinson back to the plate with the bases loaded. His grand slam gave Philly a 5-run cushion, en route to their 15-11 win. A ho-hum 4-2 contest after 6 innings, the Phillies and Expos combined to score 20 runs in the last 3. Bill's line: 2-for-2, 2R, HR, 4RBI. 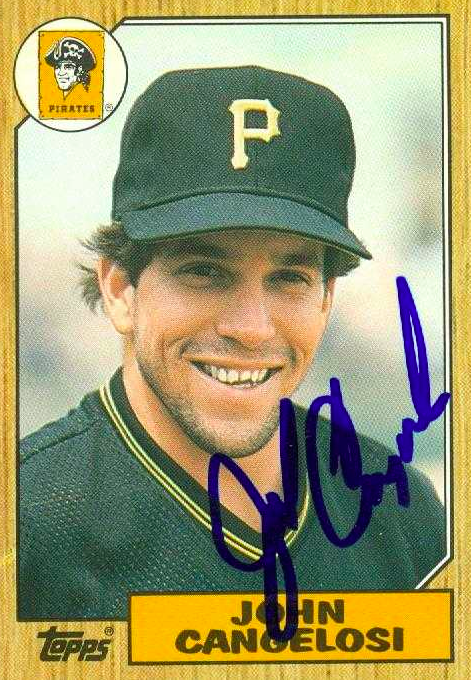 TRIVIA: Jeff Stone is the "other" guy to twice drive in multiple runs from the "other" slot, doing it on July 6, 1986 (2B & HR) and September 16, 1987 (BB & 2B), also for Philadelphia. If the "other" slot has royalty, Cangelosi is its king, having taken six bites at that rare fruit. It even happened three times in one year, thanks to Barry Bonds and Bobby Bonilla priming Pittsburgh's lineup to bat around frequently. Here's his first five "other" batting lines, all as a Pirate. Five years later, the 32 year-old Cangelosi posted career-best numbers in 90 games for Houston, who fell one game short of the playoffs, losing the NL wild card to third-year wonder Colorado. John saved his best "other" at-bat for last, helping turn another average outcome (4-2 after 5 innings) into a 19-6 pasting of Chicago. 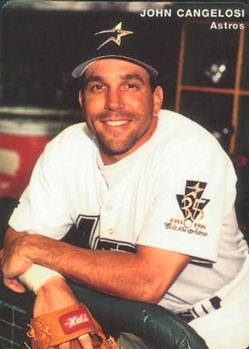 June 25, 1995: John pinch-hit in the 8th inning and, as in multiple games before, walked, stole second, and scored. In this game, the Astros followed with six 2-out runs off reliever Bryan Hickerson, bringing back Cangelosi, who clubbed a 2-2 pitch over the fence in left. Houston couldn't blame their playoff failings on his line of BB, SB, 2R, HR, 3RBI.